Addicted to Watermelon? Include Them In Your Wedding Menu. Here’s how? With each new season we come across a burst of colours, style and trends in the world of weddings. Just when we got introduced to the idea of placing drink dispensers at wedding table settings with watermelon dispensers being one of them, we thought Hey! Could there be more ways in which you could include watermelon at your wedding? No other fruit defines summer like watermelon does. 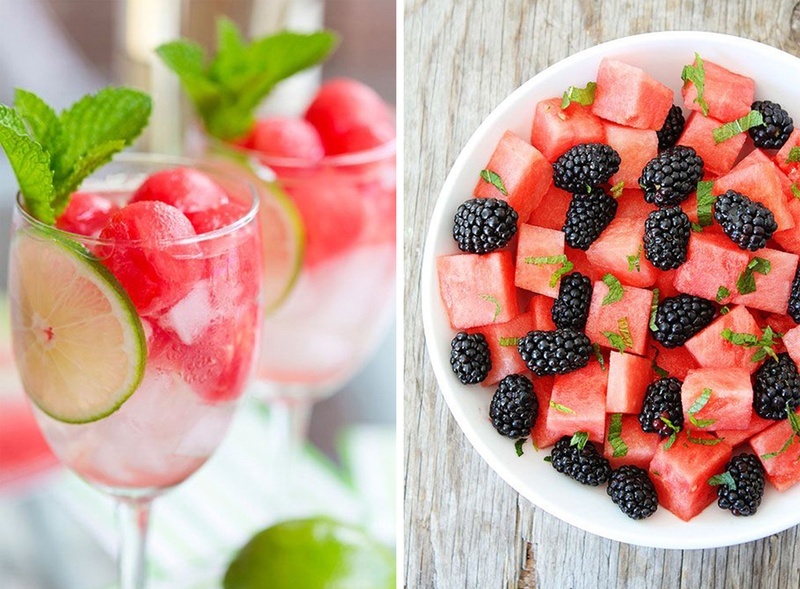 For those planning to have a summer wedding or those who crazily love watermelons, we’ve got some lip-smacking wedding menu ideas that will refresh you in just by looking at them. From sweet desserts, salads to savories, watermelon is no longer limited to cutting a plain slice and devouring it. We were stunned at how versatile watermelon can be and blend so well with a variety of flavours. Treat your guests to a refreshing new taste as we suggest some amazingly cool food items that you can effortlessly incorporate in your wedding menu. Stylish, chic, healthy and oh so trendy! Have You Met A Pizza Like This Before? For more mouth-watering wedding menu ideas, browse here.